These sweet-handling 944s are going up in price. Porsche 944s are one of those cars that were long disregarded as a serious classic, that is until air-cooled 911 prices shot through the roof and became unaffordable for most. The German maker copped some grief from traditionalists for trying a front-engine series from 1982, even though it made a whole lot more dynamic sense than the iconic rear-engine 911. In fact, 944 owners will rightly tell you these are a particularly sweet handler. The 2.5 litre four-cylinder engine claims a little over 160 horsepower (121kW), which is enough to make it a lively if not awe-inspiring drive. However the overall balance of these cars is what wins them friends. The same body shape received a few engine variants over its life, including turbo engines, a 3.0 litre four and various V8s in the 928 versions. 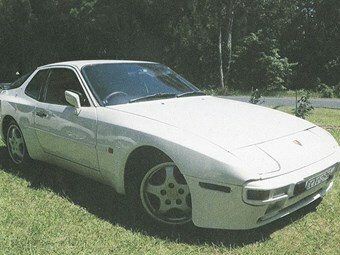 Based in NSW, the 924 you see here is the cheapest of six on offer at our site. Its a manual, claims 207,000km and the owner says its in good shape. Yours for $16,500.